Juvenal Habyarimana was a politician who served as the third President of the Republic of Rwanda. This biography of Juvenal Habyarimana provides detailed information about his childhood, life, achievements, works & timeline. Juvenal Habyarimana was a politician who served as the third President of the Republic of Rwanda from 1973 to 1994. Domineering, shrewd, intelligent and ambitious, he ruled almost single-handedly over Rwanda, a highly turbulent country in Africa, for more than 20 years after he seized power in a 1973 coup. A dictator to the core, he held on to his position with an iron grip that lasted till he was assassinated in 1994. During his rule the citizens of his country were forced to chant his name and dance in his adulation, and he exercised great control over the nation’s political activities, having established the National Revolutionary Movement for Development, with himself as sole leader of the single-party state. Born into an aristocratic Hutu family, he initially decided to study medicine before entering the military school. Aggressive and hardworking, he soon rose through the ranks and established himself as a successful military professional. His army career kindled in him an insatiable love for power and he forayed into politics. Having become the head of the National Guard and the country's police, he led a bloodless military coup in 1973 and seized the control of the country for himself. The citizens were increasingly frustrated at his dictatorial rule which finally came to an end with his dramatic assassination in 1994. He was born on 8 March 1937 in Ruanda-Urundi (now in Rwanda) to an aristocratic Hutu family. He studied humanities and mathematics at St. Paul’s College before deciding to study medicine at Lovanium University, in the Belgian Congo (now the Democratic Republic of the Congo). He returned home from Congo to begin training for the National Guard in Kigali and entered military school in 1960. During his military training he proved himself to be an outstanding cadet and was also trained as a parachutist. He passed out with distinction and became one of the first officers in the National Guard as a second lieutenant in December 1961. He became Chief of Staff in the National Guard in 1963, a position he served in for the next two years. He entered government service in 1965 as minister of defense and police chief of staff. He developed close relations with the President Gregoire Kayibanda who considered him to be a close confidant. Impressed with Habyarimana’s work in the army, the president appointed him as a major general in January 1973. By now Habyarimana had become very ambitious and had set his eyes on the president’s seat. He led a coup in July 1973 and overthrew President Gregoire Kayibanda, accusing him of failing to take adequate steps to end tribal and regional conflicts, thus ousting the ruling party, Parmehutu. Then he assumed office as the President of Rwanda on 5 July 1973. In 1975, he created the National Republican Movement for Democracy and Development and declared it as the country's only legal party. Until 1978 the Rwandan administration stayed under military rule. In 1978, he was elected to a five-year term as president; he was the only presidential candidate. 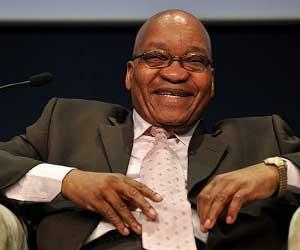 The initial years of his presidency were marked by considerable development and economic progress. 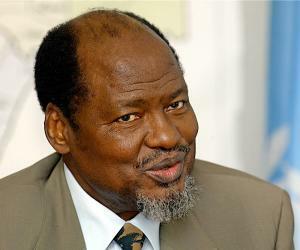 He was also able to win the favor of both the Hutu and Tutsi ethnic groups because of his seemingly unbiased policies. But with time the citizens became dissatisfied with his administration. He was re-elected to the position in 1983 and 1988. Since he was the only candidate, voters had no other options than to re-elect him. However, there was an attempted coup in 1980 in a bid to overthrow him which proved to be unsuccessful. By this time there was considerable pressure on him from the Western world, which criticized his dictatorial rule. 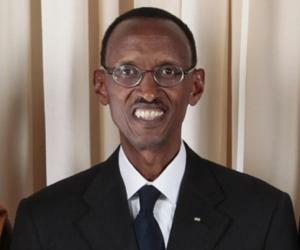 He eventually accepted that some reforms were required in Rwandan politics. Thus he presented a charter for the introduction of a multi-party system. Rwanda held its first multi-party elections in 1992. 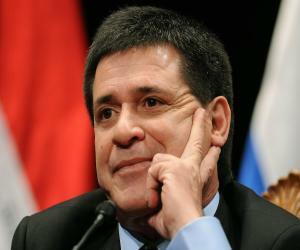 The changes in the legislation provided for both a prime minister and a president. However, these changes did nothing to control the rising problems in the country, exacerbated by political tensions between rival tribes. He retired from military in 1992 and was named president of the power-sharing transitional government established by the 1993 Arusha peace agreement in January 1994 . 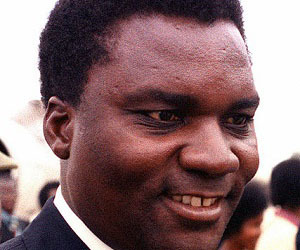 He was married to Agathe Habyarimana whose family was well-connected to powerful Hutu politicians. His wife was believed to have played a very significant role in his political career. The couple had eight children. On 6 April 1994 he was flying on an airplane with Burundian president Cyprien Ntaryamira from Dar es Salaam International Airport, Tanzania, to Bujumbura International Airport, Burundi. A surface-to-air missile struck one of the wings of the plane and a second missile hit its tail, causing the plane to erupt into flames mid-air before crashing into the garden of the presidential palace. All the 12 occupants of the plane were killed in the crash. The assassination of the two African presidents triggered the Rwandan Genocide and the First Congo War, in which an estimated 500,000–1,000,000 Rwandans were killed in what was to become the bloodiest massacre in late 20th century.